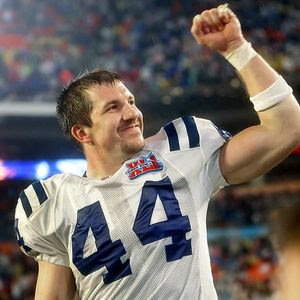 Iowa native Dallas Clark of the NFL's Indianapolis Colts will return to Iowa in April to receive the Ray Pillar of Character Award. Character Counts In Iowa annually presents the Ray Award to an Iowan who has demonstrated a commitment to being a person of good character. Past award recipients include Norman Borlaug, Hayden Fry, Shawn Johnson and former Governor Robert D. Ray, for whom the award was named. After playing for the Iowa, Clark was drafted by the Colts in 2003. In 1997 he helped the Colts win Super Bowl XLI. He was recently named to the 2009 Pro Bowl and will be playing in Super Bowl XLIV on Feb. 7. Clark will be presented with the award at Hy-Vee’s All Star Evening to benefit Character Counts In Iowa on April 16.